Croatian Children’s Film Festival is the only event in Croatia dedicated exclusively to movie making of elementary school children. Once a year, each time in a different city, best young film makers and their mentors are gathering. And not only that, in the four days of the Festival, the best elementary school movies presented on the movie screen. Next to the screenings, Festival offers panel discussions with children, mentors and judges, workshops for children and their mentors as well as different movie retrospectives. 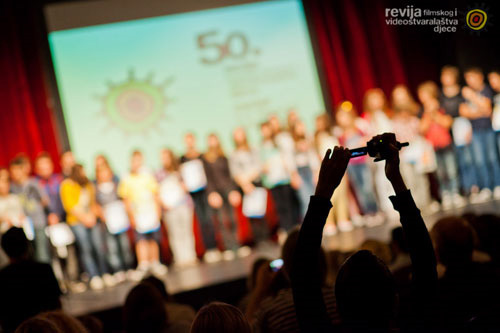 53rd Croatian Children’s Film Festival will be held in Rijeka, September 30th until October 3rd. With the help of Art-kino Croatia, city of Rijeka will be living for movies and will for four days serve as the main film city for the youngest film lovers. Application deadline is June 15th and movies can be submitted in the following link while you can see the terms and conditions here.